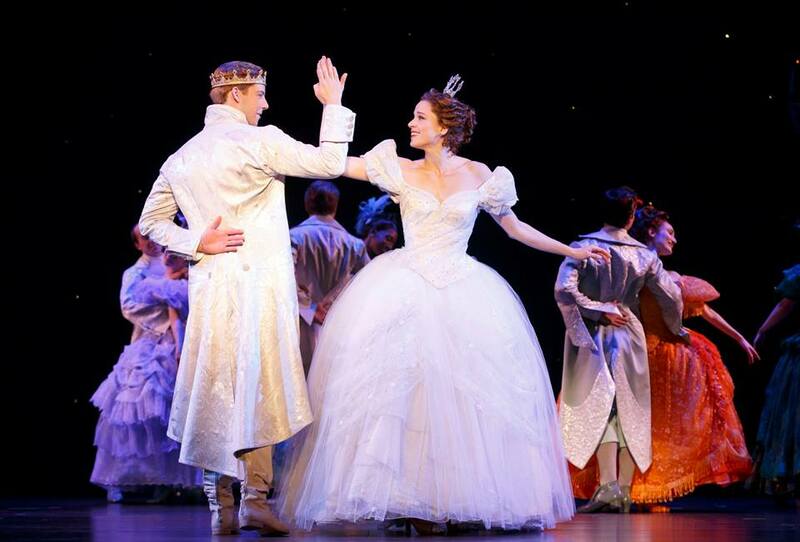 It is extremely rare when I use the term, “perfect” or any variation of it, but there is simply no other way to describe the Rodgers & Hammerstein’s Cinderella experience. It was a very hazy, humid Atlanta night when I set my sights on the Fox Theatre. Everyone was dressed like they were attending a special event… And they were. Little girls could be seen everywhere dressed up as princesses, some even mimicking Cinderella down to the tiara. Once the show started, there was nonstop laughter and singing through the duration of the musical. Kaitlyn Davidson steps into the glass slippers in the title role of Cinderella, which she also understudied in the Broadway production. Davidson previously played the role of Gabrielle on tour. Andy Huntington Jones played the role of Prince Topher, Cinderella’s dashing love interest. Jones was a member of the original Broadway company of Rodgers + Hammerstein’s CINDERELLA where he understudied the role of Prince Topher. This version of Cinderella combines the story’s classic elements – glass slippers, pumpkin, and a beautiful ball along with some surprising twists. More than just a pretty face with the right shoe size, this Cinderella is a contemporary figure living in a fairytale setting. She is a spirited young woman with savvy and soul who doesn’t let her rags or her gowns trip her up in her quest for kindness, compassion and forgiveness. She longs to escape the drudgery of her work at home and instead work to make the world a better place. She not only fights for her own dreams, but forces the prince to open his eyes to the world around him and realize his dreams too. The great thing about adaptations is that you’re already familiar with the storyline but you get to see what plot twist may take place or the difference in characters. A great example is the amount of comedy they managed to stuff into this production. The Disney original was never intended to have a superfluous amount of comedy, but this great adaptation was chocked full of it. Another great twist was one of Cinderella’s stepsister’s Gabrielle outing her as the princess who wooed Prince Topher at the ball (and then becoming friends). Standout characters in this production include the evil step-sisters Gabrielle (Kimberly Fauré) and Charlotte (Aymee Garcia), Madame (Blair Ross), Ella’s Fairy Godmother (Liz McCartney) and Lord Pinkleton (Chauncey Packer). I’d be remiss if I didn’t mention the extremely detailed scenic design. Upon entering the theatre on the orchestra level, you’re immediately entrenched in a magical fantasy. The beautiful design and backdrop was so catching that I noticed copious amounts of people searching for their seat simply to house their belongings. They immediately left and headed towards the stage to catch a closer glimpse of this artistic masterpiece. Everything from the forest, to the castle, and even the town square was beautifully done. Anna Louizos deserves all the praise for her part in making this a truly unforgettable affair. This timeless classic gets a perfect 10 out of 10. This beautifully orchestrated masterpiece will be here through the weekend with its last showing at 6:30pm on Sunday. Tickets are still available, even for tonight’s 7:30pm performance!